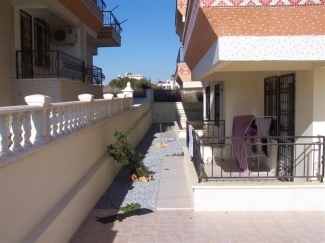 This clean,modern,air conditioned two bedroomed ground floor apartment will sleep five. 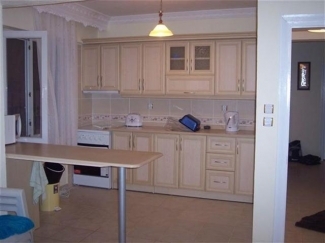 It has a fitted kitchin, washing machine, fridge freezer, oven and hob, microwave electric kettle, TV Dvd player. 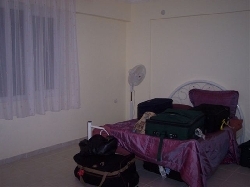 Large bedroom with double bed wardrobes and balcony a small bedroom with two single beds. 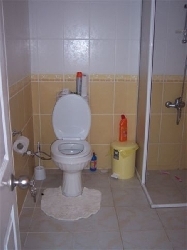 Bathroom with a vibro bath. 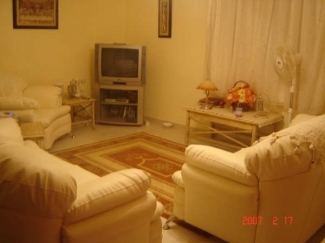 Living room fully furnished with large sofa which can be used as fifth bed. The living room has a balcony which you can use to access shared swimming pool. 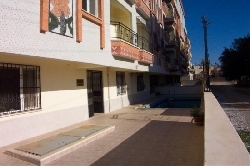 The apartment is located less than 5 mins from the third beach and local shopping amenities resturants and bars. The main resort is less than ten minutes walking distance. there is a new mariner which does weekly trips to the greek islands plus fishing and boat excursions. 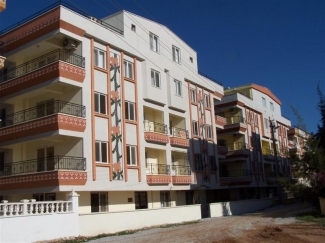 The historical sites of Didim, Prienne and Miletus are in very close proximity. Turkey offers an immense array of historical, geographical, and culteral activities,and prices are inexpensive. Many of the local bars and resturants will offer mini bus services free if you eat or drink at there establishments. The local bus services (Dolmus) run very frequently. For the more adventurous who dont necessarily wish to use tours the national bus network is excellent, inexpensive very clean and comfortable they even bring you tea or a soft drink and cologne to threshen up. 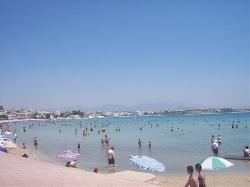 Altinkum offers very nice beaches caters for all age groups and the locals like all Turkish are very friendly. Many thanks for viewing this page and wish you a happy holliday in Turkey should you decide to travel there.